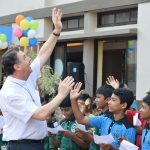 AS THE holy week culminated on Easter Sunday, the residents of St. Estevam and everyone who values freedom and justice in Goa had another reason to celebrate. Because at the start of the holy week the Goa bench of the Bombay High Court resurrected the criminal case against those who were part of the conspiracy to murder activist priest – Fr Bismarque. A former priest disowned by the church for objecting to the sale of church land to private builders. The story of Fr Bismarque started over 17 months ago when his body was discovered near a small stream, riddled with injuries. There were some beer bottles on the site where the body was found. Fr Bismarque was last seen with a group of boys with whom he had gone for a picnic by the creek. The boys later claimed that Fr Bismarque had gone for a swim but would not talk about how he lost his life. The police theory was that Fr Bismarque must have gone swimming under the influence of alcohol and drowned. Like cases of driving under the influence of alcohol which brought the wrath of the Supreme Court on bars within 500 meters of the highway. FR BISMARQUE had strongly objected to builders filling up the marshy land in St Estevam which is almost an island. 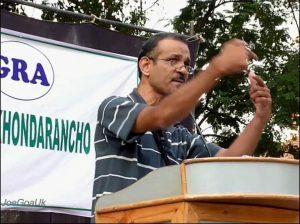 It is suspected that the builder who had dumped rubble and filled up the marshes and the paddy fields was none other than Pandurang Madkaikar, the local MLA, who quit the Congress on the eve of the elections and contested and won on the Bhartiya Janata Party (BJP) ticket, earning prompt induction into the Parrikar cabinet. Earlier Fr Bismarque had earned the anger of the Bishop for objecting to the sale of Vanxi Island off Divar to a Bangalore based land shark – Ozone builders. The island was the property of the Santa Monica convent which has now become a training centre for nuns and also houses the Museum of Sacred Art. THE Santa Monica convent was set up by the Portuguese for the widows of officers. It was also used to recruit nuns locally. It played a major role in the culinary life of Goa as it is believed that it was the nuns who first introduced bebinca. This is not the first time the Archbishop of Goa has sold property belonging to the Santa Monica convent. The CIBA factory which has now been taken over by an Indian company was built on land sold by the church which is why the CIBA factory still has the name Santa Monica works. It did not suit either the politicians or the church that the criminals who murdered Fr Bismarque should be located and punished. The crime branch of the police decided that it was an accidental death. The Old Goa police refused to even register a first information report in the case. In protest the family refused to take the body from the GMC morgue. Though the first post-mortem attributed the death to drowning, the second post-mortem did not rule out foul play. ONLY as recently as last week the human rights commission to which the case was referred, requested the collector to make arrangements for the burial of the remains of Fr Bismarque. The family was not consulted. Just when the police were planning to bury the body along with the evidence of murder, came the judgement of the Goa bench of the Bombay HC which directed the police to register a first information report of murder in the case of Fr Bismarque. The court rejected the police claim that it was death due to natural causes. Some close friends of Fr Bismarque had challenged the closure of the case by the police under the instigation of politicians. SAVE GOA: Fr Bismarque was very active in the save Goa Movement and incurred the anger of the church for opposing the sale of Vanxi Island belonging to the Santa Monica convent. Among those who fought very hard to resurrect the case against the murderers of Fr Bismarque was a software engineer from Bangalore Samir Kelekar. Samir who was based in Bangalore used to fly down every weekend to follow up on the case spending over `25,000 from his pocket each time. Samir also raised funds for paying a senior lawyer and moving the HC for re-opening the case and registering an FIR for murder. It is to a large extent due to Samir’s persistence that justice was finally delivered to Fr Bismarque during the holy week when the case was resurrected. I know how passionately Samir fought to compel the police to revive the case because he used to spend the weekend before the hearing of the case on Monday at my residence at Tonca. Samir did not belong to the village of Fr Bismarque. Samir had no connection directly with Fr Bismarque. He was approached by friends of Fr Bismarque like Sandeep Dalvi and the parents of Fr Bismarque for help. I suppose activism is part of Samir’s genes as he is the son of the freedom fighter and traffic accident activist Gurunath Kelekar who heads MARG. SAMIR’S answer to my question on why he was spending so much time and money on the Bismarque case was that it was a matter of principle. His argument was that if people did not fight cases like this the right to life guaranteed by the constitution would be meaningless. Anyone could murder anyone and get away with it. I know what he is talking about because I myself was almost murdered by hired goons of the then speaker Dayanand Narvekar at the Dona Paula Circle. I had forced Narvekar to resign for allegedly molesting his 20 year old secretary. The day after he resigned he hired goons to beat me with iron rods. Fortunately I heard footsteps behind me in the dark night as they had switched off the transformer and I had ducked my head. If they had hit me on my head I would have also have directly gone to hell or heaven like Fr Bismarque. And the police of course would have called it an accidental death. THE High Court judgment in the Fr Bismarque case is a major landmark. It will particularly come to the help of the hundreds of foreigners who either just disappear or are found murdered on the Goan beaches like Scarlet Keeling and more recently Irish tourist Danielle McLaughlin. In the case of Danielle, the police claim to have found the culprit. But whether he is the actual culprit, whether he was acting alone, and whether the police can make out a case resulting in his conviction, only time will tell. In the case of Fr Bismarque we are happy that thanks to the efforts of his family and friends, including the late Satish Sonak, the case has been re-opened and the High Court has directed the police to file a first person report on the charge of murder. The court has also directed the police to re-open the investigation. Since Pandurang Madkaikar who is among the main suspects is back in power as part of the ruling party it is useless giving the responsibility to the police. The case should be transferred to the Central Bureau of Investigation or to the National Investigation agency. It is not a matter of Fr Bismarque. It is a matter of the freedom of every one of us to protest against injustice. If murderers are allowed to get away, people will be frightened to fight corruption and fascism. The Bombay High Court at Goa on Tuesday, April 11, 2017, directed that the Crime Branch register an FIR based on the complaint filed by Mario Dias the brother of deceased Bismarque Dias agreeing with the argument that an investigation under an FIR is qualitatively different than an investigation done under section 174 of the code of criminal procedure. “The fact remains that ultimately a conclusive solution to the manner in which the deceased had died has not been explained by any pointed and reliable evidence,” the court observed. “The state owes an obligation to the deceased and his family that an investigation be carried out to solve an alleged crime has been duly conducted. All aspects duly considered suggest that the petitioners are not satisfied and have brought to our notice different aspects remain unsolved,” the court observed. The petitioners pointed out that Dias who was an activist who took up different issues concerning him and had filed complaints against various persons went missing on November 5, when he was last seen alive leading to various inquiries in the village about his whereabouts. The petitioners also pointed out contradictions in the various versions of persons who had met him on the day until November 7, when his body was found floating in the River Mandovi. The contradictions gave rise to suspicions that the investigations have not been fair or in accordance with law. 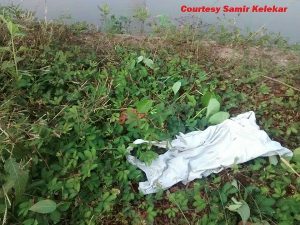 Two autopsies later and after two separate investigations both by the Old Goa Police Station and the Crime Branch, who submitted their reports to the Sub Divisional Magistrate (SDM), the SDM passed an order under section 174 of the Code of Criminal Procedure on April 21, 2016 that the deceased died due to asphyxiation and hence a result of drowning in water and the cause of death was classified as an accidental death. Aggrieved by the decision, the petitioners approached the High Court calling for records in the proceedings, to quash the order of the SDM and further to direct the Central Bureau of Investigation to conduct an investigation in the manner of death after registering an FIR. 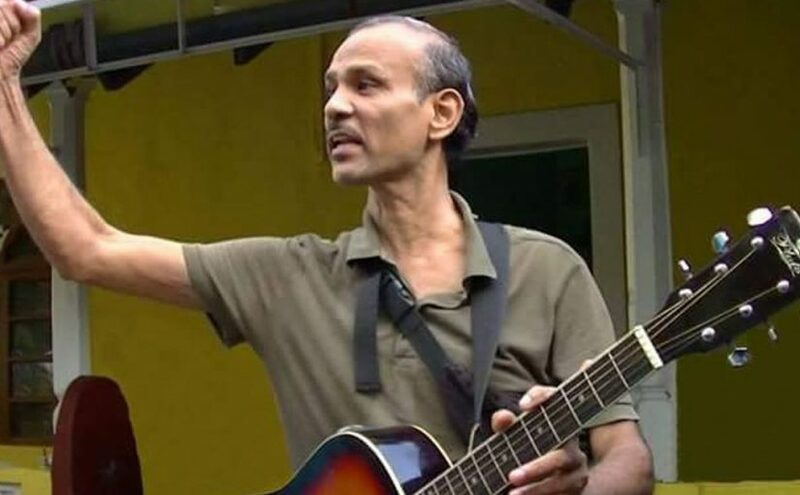 Brother of Bismarque, Mario Dias had lodged a complaint alleging foul play in connection with the death and it was the contention of the petitioners that the investigation done was not in accordance with law and that the SDM was not justified in recording the death as an accidental death. In response, the prosecution disputed the claims saying that the death was investigated by two agencies — the local police station as well as the Crime Branch — which along with the help of the family lawyer Adv Jos Peter de Souza who was taken on board in the investigation but arrived at the same conclusion. Crucially, Adv S S Kantak appearing for the activist petitioners pointed out that investigations under section 174 of the CrPC were qualitatively different than that done after registering an FIR and that on a bare perusal of the complaint of the brother of the deceased would itself disclose the commission of a cognizable offence and that the prosecution had no justification to refuse to register an FIR. “We are of the considered opinion to seek the registration of an FIR based on the complaint dated November 7, 2015 as expeditiously as possible and to submit a report every three months,” the division bench of the Bombay High Court at Goa revealed.